Hello! I have a card for this week's MFT Wednesday Sketch Challenge 271. Hop on over to the MFT Challenge Blog for details on how you can play along to win a $20 MFT voucher. My card uses the Count the Stars stamp set and Stars & Wishes Die-namics. I just love the clean, cool style of those 2 products and it makes quick work of a clean and simple card! I created the stripes behind the square frame and adhered the sentiment and die-cut word on top. 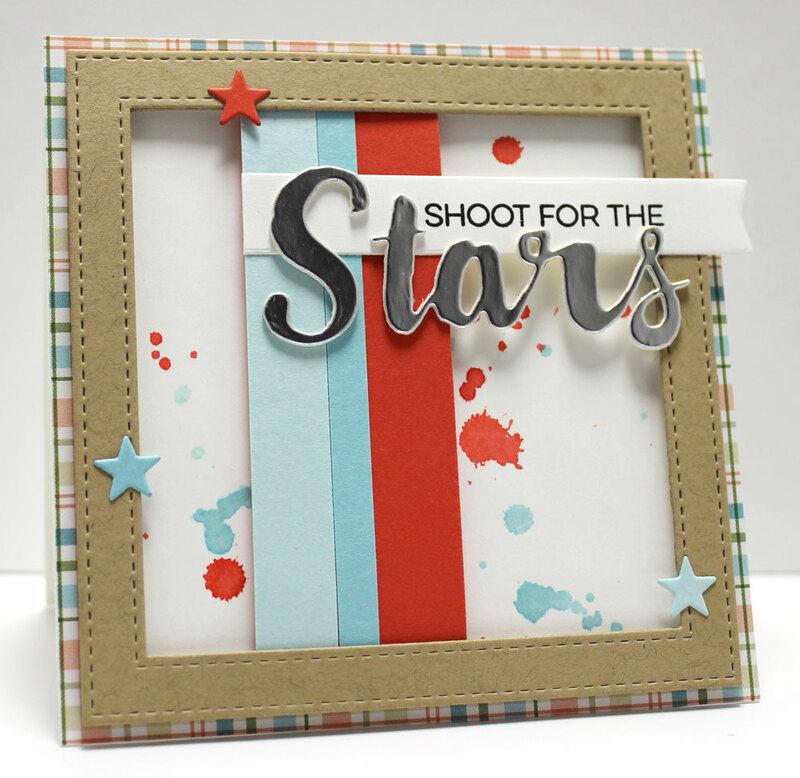 Some fun ink splatters and a few die-cut stars complete the look. Hi there Jody. I haven't stopped by to visit for some time, but wanted to let you know that I love your cards, and appreciate your Blog. Have a wonderful week. Thank you for your continued inspiration.